Please call us at 586-582-6791 if you don't see the appointment type or availability you are looking for. 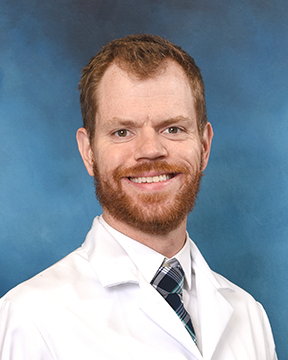 Dr. Ben Collins-Hamel is an internal medicine physician. He completed his medical degree from Michigan State University College of Osteopathic Medicine and his residency at St. John Macomb Hospital. His goal is to work with his patients to provide the best health possible while helping to coordinate ... Read More care with other specialists and provide a clear understanding of the patient's medical care. Dr. Collins-Hamel has a special interest in hypertension management and kidney disease. Dr. Collins-Hamel is a faculty physician with the Internal Medicine Residency program at St. John Macomb Hospital. He is also a member of the American Medical Association and the American College of Osteopathic Internists. Benjamin Collins-Hamel, DO offers services at multiple MI locations.